You might be, thinking.....If this is a beet and goat cheese salad, where are they?! They are under the greens and for two good reasons. First, I hate to try and crumble this soft cheese over the salad. It gets all over my fingers, it's just so messy. Second, when you make it this way you will get a bite of goat cheese with every bite of your salad. 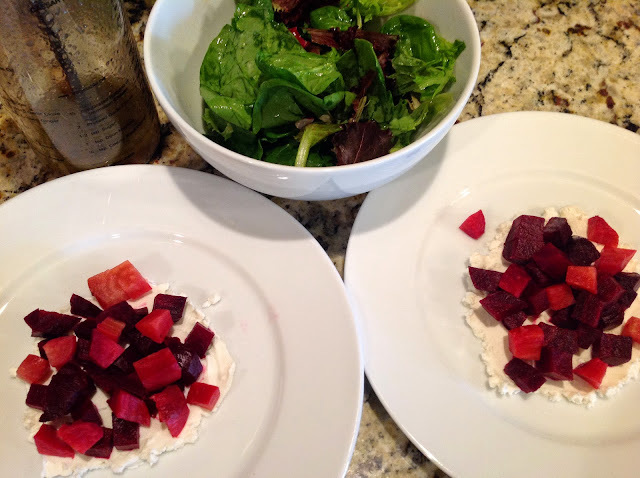 Let me show you how I like to make my beet and goat cheese salad. 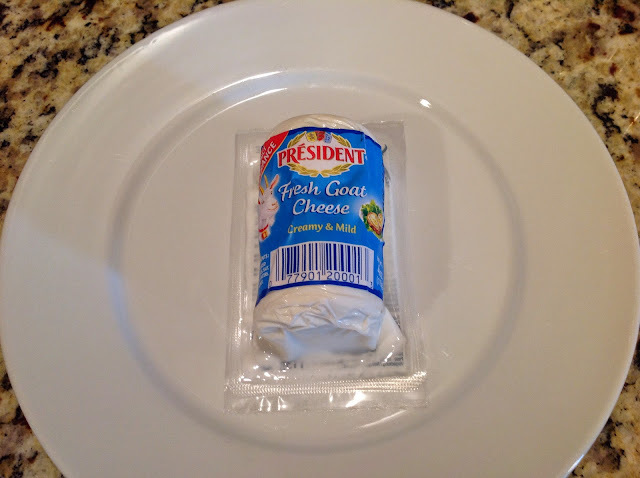 Not everyone loves goat cheese and some brands are stronger than others but I really like President brand, it's creamy and mild. 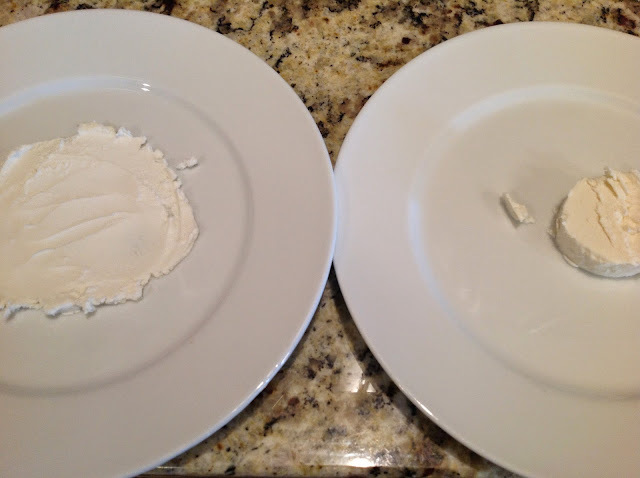 I take a slice of the goat cheese and spread it on the bottom of the plate. Next I layer on diced roasted beets and toss the greens in the vinaigrette. And last I top with the dressed greens, sugared walnuts and dried cherries (or cranberries). This salad has so many textures and flavors going on. It's creamy, crunchy, sweet and tangy. Delicious! Whisk mustard, honey, vinegar, olive oil, salt and pepper. Toss the greens with the dressing. Set aside. 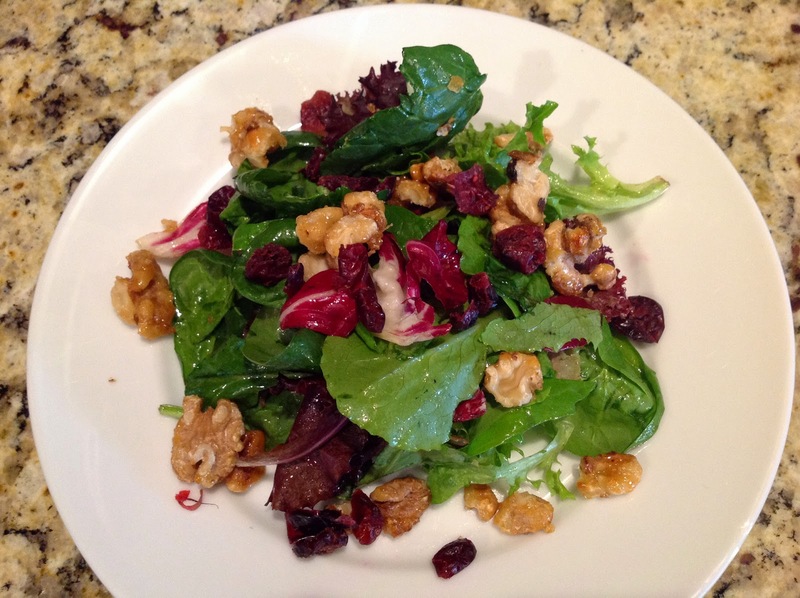 On each of plate layer the ingredients in the following order: Spread 1 oz goat cheese on each plate, beets, dressed greens and top with walnuts and dried cherries. Rinse the beets and pat dry. Wrap beets in aluminum foil, place in the oven. Bake for 1 hours, or until they can be easily pierced with a fork. The time will vary greatly on the size and freshness of the beets. Allow to cool, then peel off skin. Dice into cubes for salad.